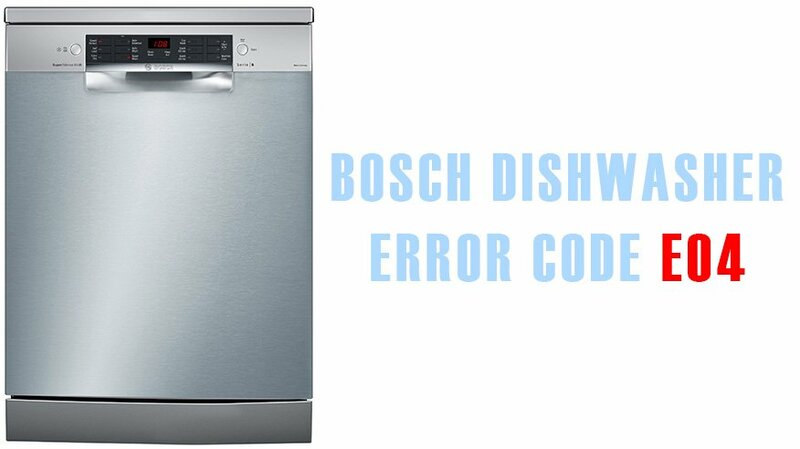 The dishwasher can display error E 04 when the water flow sensor breaks down and if the sprayers fail. Due to clogging or hardness of water, water jets do not pass through the holes of the sprinkler well enough, which leads to the malfunction. Water does not go in well, but such situation is not critical, so you can try to eliminate the damage yourself. If the icons disappeared, it means everything is in order. But if the appliance displays the error on the screen again, then you need to take action. Remove the spray arm from the seat. Rinse it under running water. Clean the nozzles (holes) with a toothpick. Use a special salt for dishwashers. It enables to reduce the hardness of water and prevents the formation of calcareous deposits on the parts. The parts are cleaned, but the error code appeared again? In this case, you will need to replace the flow sensor. It is designed to control the amount of water that passes through the nozzles. The part is installed in some models of Bosch dishwashers instead of the usual pressure switch. The stop signal is sent to the control module from the sensor and it instructs the machine to stop the water intake. We recommend choosing the spare part for the replacement based on the model of your dishwasher since all components are original. You can avoid such breakdowns if you take care of the equipment in a timely manner. Clean the filters and other parts at least once a month. Use special tools to avoid the appearance of scale.